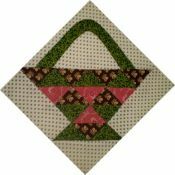 Sort Sumpter quilt. Published in Australian Patchwork and Stitching magazine. All cotton, with cotton batting. 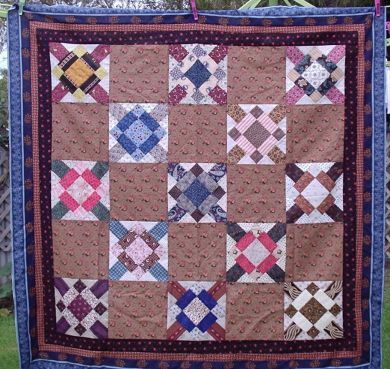 Machine Pieced and Machine Quilted, in the ditch, with a heart shaped design in the open areas, and over the blocks. Made with reproduction fabrics, reminescent of Civil War period. Used light about the house. Has been washed.